Could it have been that correcting the intonation marked the end of Franky - as far as being used? 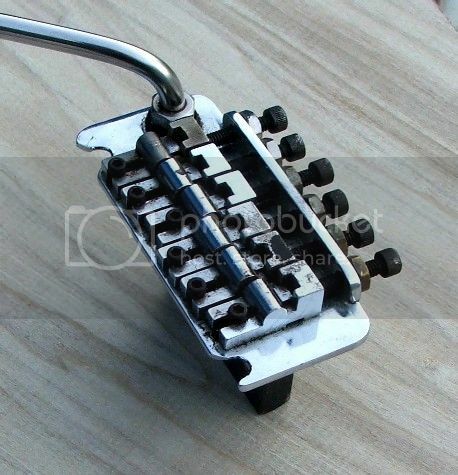 Maybe that change of pivot location weakened and compromised the effective use of the tremolo. Anything is possible, Sergio, but I think that after 1983, Ed more or less retired the Franky for live shows and started to use the 5150 and an assorment of back-up Kramers. Superb Jimmi !! Very interesting read . You can tune a piano, but you cant tuna fish ! Are you certain they moved the bridge?... 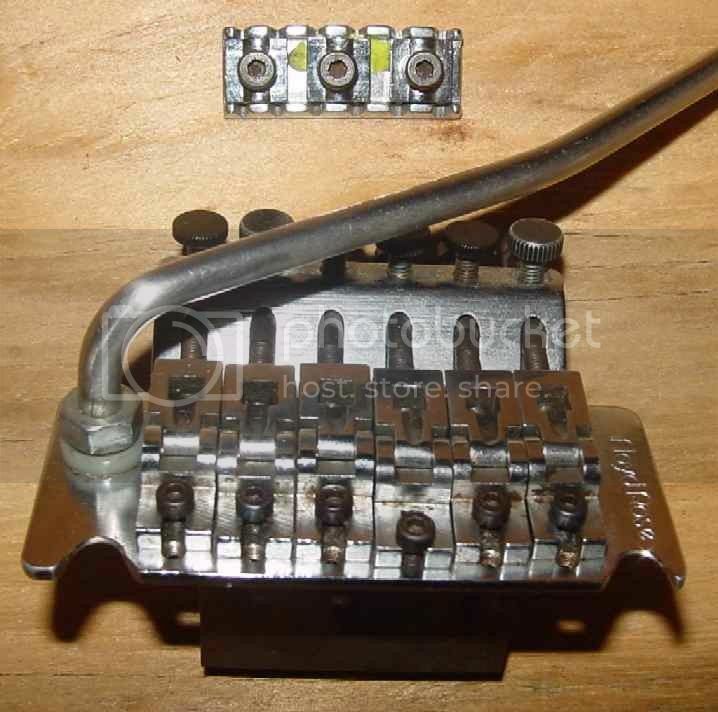 I think maybe its just a different trem or maybe he moved the quarter a bit. ...if you use the stripes as reference points you'll see that the quarter does not move from it's position. Thats a lot of precision work to plug holes and accurately redrill. 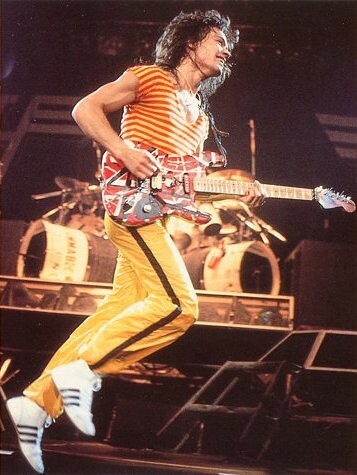 Not exactly EVH's strong suit. Yeah, I agree. LOL! That's why the task a was given to Tom Anderson who is probably one of the best in the business. I see at least 3 different Floyds in those pics. The original, a gold one and a later chrome one. There's actually four different types Floyds that are pictured. Ed owned quite a few of them so who knows how many have been on the Franky! Great show, Jimi! I, personally, appreciate your efforts in showing what transformations have tormented that poor piece of wood! The Floyd has clearly changed from 1993 to 1997: the fine tuners are black. Also, Ed, re-installed a new type of eyehooks on the upper horn, visible in the pic with Chip Ellis placing the neck on Franky. The second thing is that the wood under the bridge was getting soft from all the sweat and grime over the years, so the bridge isn't sitting right. it's basically falling apart!" As far as what he says about the bridge, this makes sense because it had numerous open holes under it. 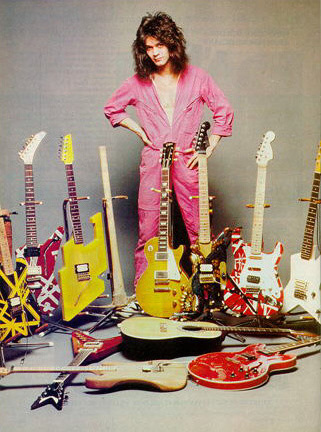 He once stated about the Floyd Rose that he thought they sounded too bright, so when he was in the studio he'd put the old Fender bridge back on, and live the Floyd would go on for tuning stability. So sweat which is pretty acidic gets down in the holes and attacks the wood. This was actually a very common problem on Ibanez guitars which used real soft woods like basswood until they started preventing the problem with different inserts for the studs. The wood would actually get spongey. Just a little old info FWIW. Last edited by we die young; 03.30.11 at 09:47 AM. 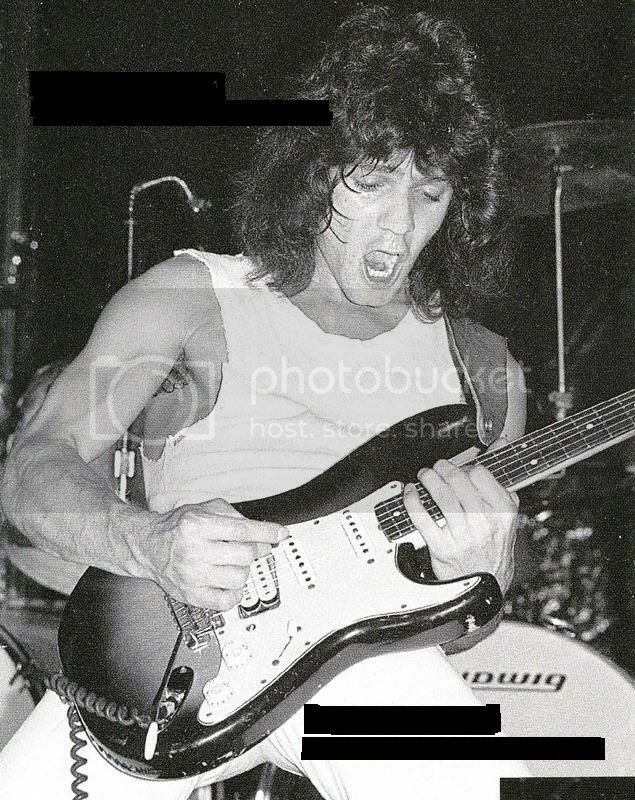 Any update on the black Strat w/ the rosewood neck, zebra HB, and the modified white pickguard used in the club days and how that *may* have been used on VH1 and/or became Frankenstein? I believe you had some thoughts on that last year, but weren't sure to the point to make a pronouncement. Thanks Jimi - always a great read when you post. And keep us updated re: those two Strats. I really think you're onto something there! Here's one of TA's technicians (Benny) testing Franky. Notice that TA had the care of making a net that would fulfill the entire neck pocket! Doesnt the B/W Franky have some kind of brass mightymite bridge on the cover of VH1 ? Deftones , now and forever and only second to VH. Dave or Sammy ?.........pffffft Eddie. The one with Ed on guitar. Really cool, thamks for sharing. 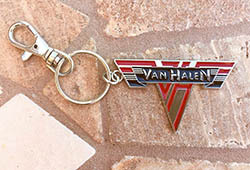 WOLFGANG did the IMPOSSIBLE, he brought back VAN HALEN, DEAL WITH IT. Curious about the cream colored pickup that was once in the franky. Any idea what it is? 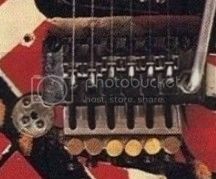 Think maybe it's a super 70 taken from the shark/Ibanez Destroyer? Saw a cream colored one on the bumblebee for a time too. The bumblebee. not sure, seemed to originally come with a black humbucker from Charvel? and later a cream colored..
You don't need the pictorial examples but tossing them up anyways. 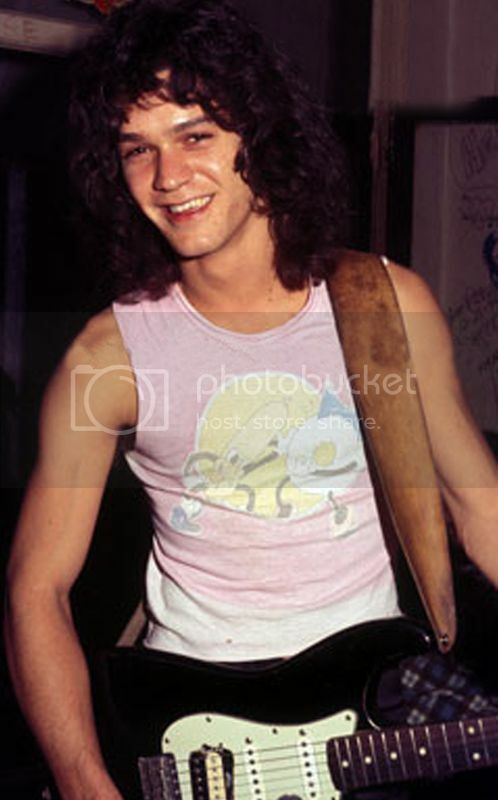 Any idea what the cream pickup was in the franky during 1980 ish? I thought it was the Diamrzio Super Distortion that was in the Bumblebee that Ed said never sounded good. Who installed the original one? 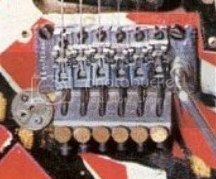 I was under the impression that Floyd Rose himself installed his first units. That's a huge mistake TA fixed unless he had to adapt for the neck a bit as well. 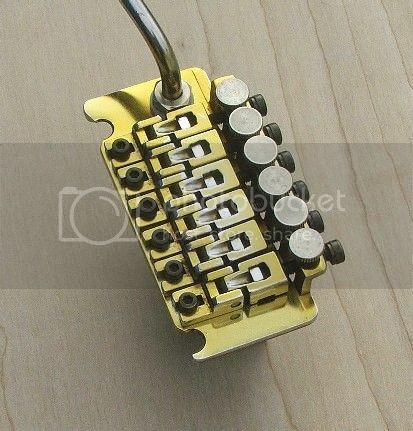 The bridge cam with the intonation off from the start. Whoever installed the Floyd, just placed it over the original tremolo location. 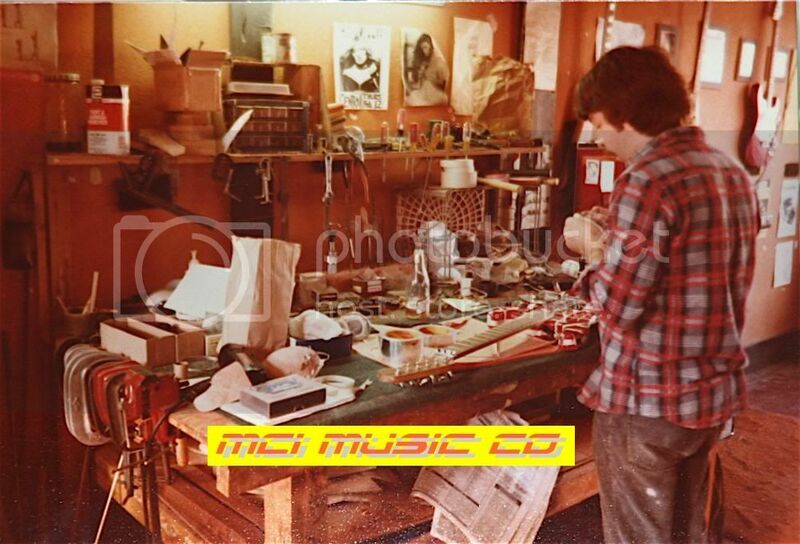 Ed had been making some amazing music, by then, so I guess they went with "if it ain't broke, don't fix it". Anothet possibility is that the bridge screw holes came off from Ellsworth, and that may had been the cause for the body to be a second. In deed, Ed took his baby to whoever would be capable of making his main tool reach its peak. 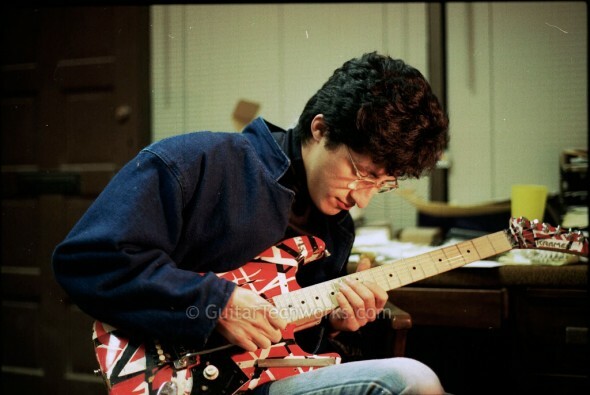 Here is Peter Baranet, AKA MAX (who built a certain famous Les Paul replica for Slash, arguably/possibly used in Apetite For Destruction) messing with Franky. Jimi has provided the date of this picture, with is usual hability to unveil the darkest secrets of Ed's guitars! Please observe the master in action and see how he managed to actually discover the real date of the picture! I hope you don't mind me sharing this piece of info here, Jimi, with due and deserved merit, since the original location of the post is... well, you know. It's definately the real Franky, boys... and despite the fact that the website indicates the date to be 1979, it's actually 1981! How did I reach that conclusion, you ask? Simple, see the two posters with the women hanging on the wall in front of Max? ..look at the date on the one on the left- "Thurs Feb 12"
... but I doubt it was taken from the Shark. I plan on putting a Charvel VH II (I refuse to call it the "Bumble Bee" LOL! )thread together very shortly. Many of your questions will be answered there! Last edited by jimi11580; 03.30.11 at 11:56 PM.